Cittel and my loome & tacklin. seteuate Lying and being in Dartmouth Above sd and is the middle ?? from thence 59 Rods north for the bredth of sd Lot thence ??? Land and medow I give to him his heirs and Assgns for Ever. and least Damage for his heirs and Assigns for Ever. have all Reddey given to them. me in any ways before written and bequeathed. all Signed in the Presence of the Testator. Bristol County, Massachusetts, Probate case files, Probate Packet 24220 for Jacob Sowle of Dartmouth 1748 (8 images); "Bristol County (Massachusetts) Probate Records, 1636-1899," digital images, New England Historic Genealogical Society, American Ancestors (https://www.americanancestors.org: accessed 5 July 2018); original records supplied by the Massachusetts Supreme Judicial Court Archives, digitized images provided by FamilySearch. Jacob Soule (1687-1748) of Dartmouth, Massachusetts married Rebecca Gifford (1689-before 1747) in 1710 in Dartmouth, and they had eight children. 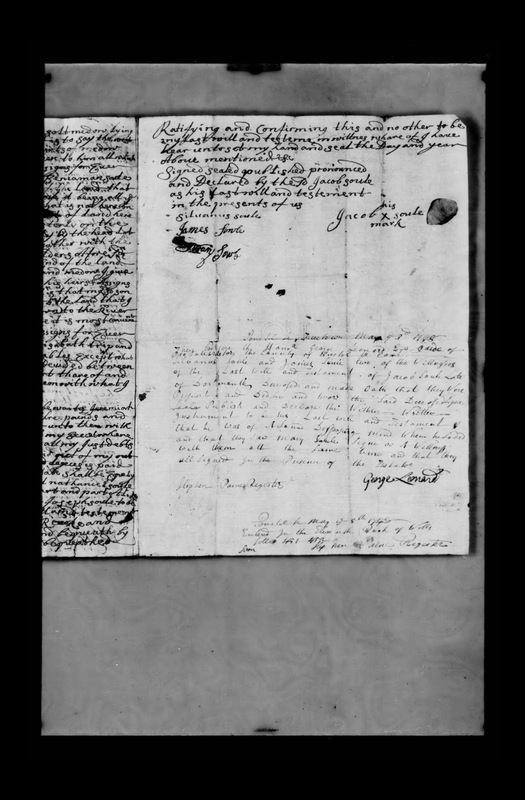 Rebecca (Gifford) Soule and two of the children died before Jacob wrote his will on 12 August 1747. He named six living children in his will, Joseph Soule, Nathaniel Soule, Benjamin Soule, Stephen Soule, Elizabeth Trip and Rosamond Potter, plus two children of his deceased daughter, Rebecca (Soule) Wait. Jacob and Rebecca (Gifford) Soule are my 7th great-grandparents. 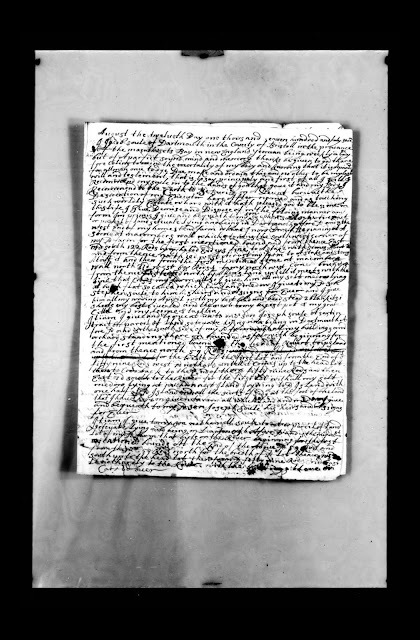 I am descended from their son Benjamin Soule (1719-1803) who married Meribah Waite (1720-1803) in about 1742, and resided in Dartmouth and Westport, Massachusetts. 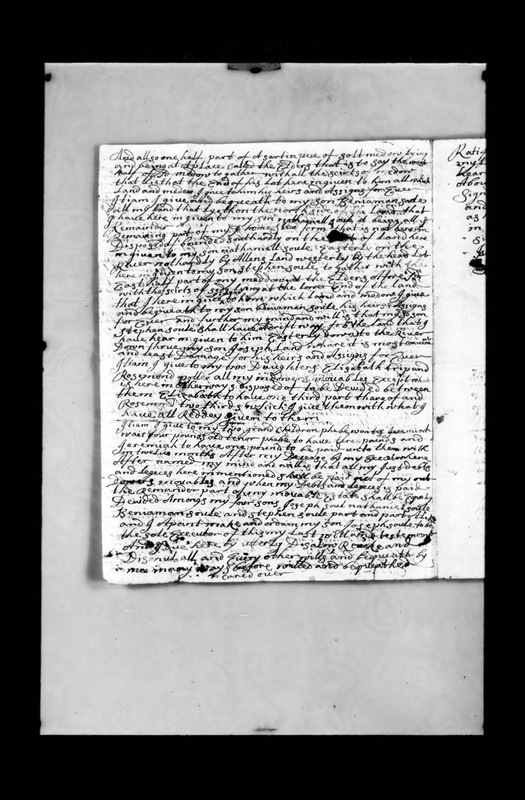 Transcribing all the documents you do, is amazing to me. Such a lot of work. But, so beneficial to your descendants.